Sealed keyboard for CNC based Machine Tool Controls. The Sealed Keyboard Panel comprises of 55 (snap dome) tactile switches with LEDs. Two of these switches – CNTRL ON & CNTRL OFF are relay operated and can handle higher voltages (220 VAC). The Panel also includes a 4 pole 16 way Rotary Switch, and an Emergency Stop switch. 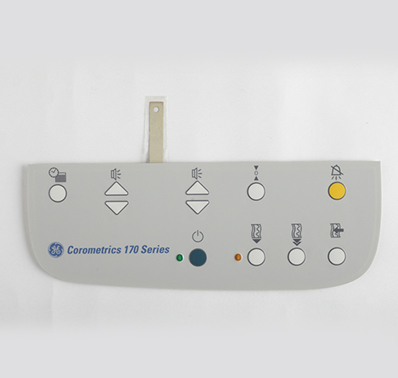 The switch and the LED circuits are terminated on D type connectors that offer a secure contact and can withstand machine vibrations. 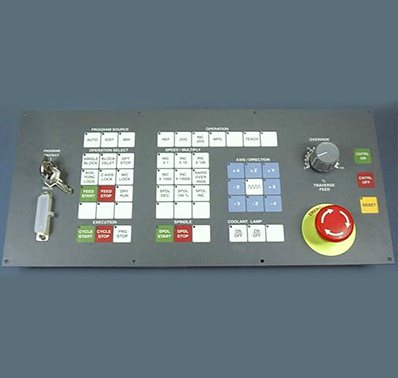 Control Stations for Power Plants – SIBAK range. These Control Stations are used in Thermal/Hydroelectric Power Plants to monitor and control the transmission and distribution of electricity. 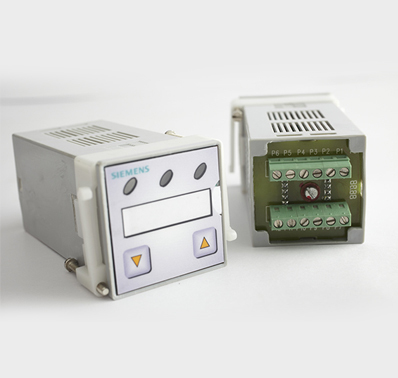 These items were exclusively made for Siemens as part of a drive to develop products locally. A variety of control stations were developed like Auto/Manual Stations, Drive Stations, Set Point Setters, Bias Setters (With & Without Indicators), Dual Indicators (Position/Deviation), etc. 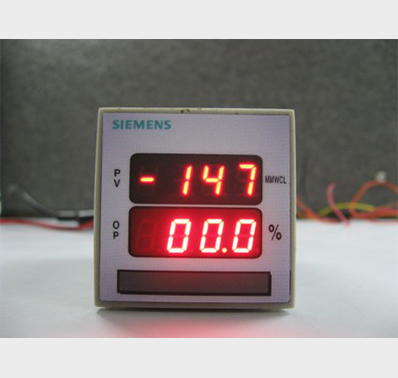 Display Inputs could be 4-20 mA OR 0-10 V. The product development involved the electronics as well as the enclosure development. Over 3000 such control stations are operating in the field since the year 2000. 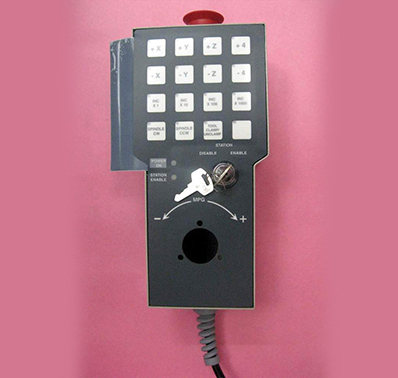 The Keyboard integrates different type of switches – Tactile (snap dome), Push Button, Toggle, Key lock switches, Selector Switches, Rotary Switches, etc. The Panel also included seven segment displays and LEDs. All the terminations have been brought out on D type connectors having a screw down locking system that can with stand vibrations typical to the shop floor environment. Interfacing circuits comprising of solid state relays have been provided to provide toggle action for switches. 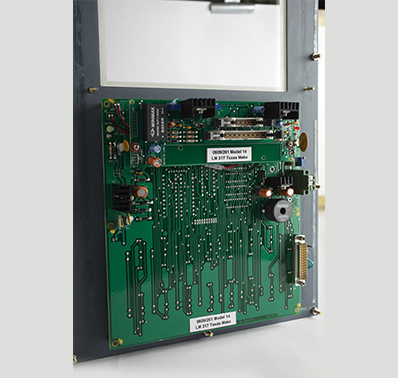 The connectors have also helped to eliminate a complicated individual switch wiring system, resulting in easy assembly and integration of the keyboard panel with the Machine Tool system. These machining centers are used by most of the top manufacturers in the Automotive Industry like Honda, TVS Suzuki, Bosch, Hyundai, etc. 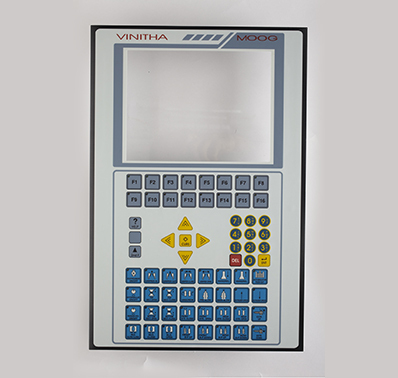 These keyboard panels are used to interface with the electronics used in controlling the processes in an Injection Moulding Machine. 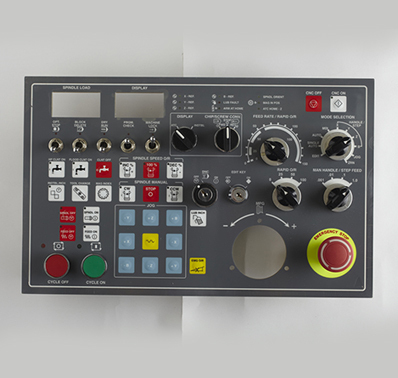 The Microset model comprises of 68 snap dome switches and 48 LEDs. The keyboard interfaces with an Image Display that is mounted behind the keyboard panel. 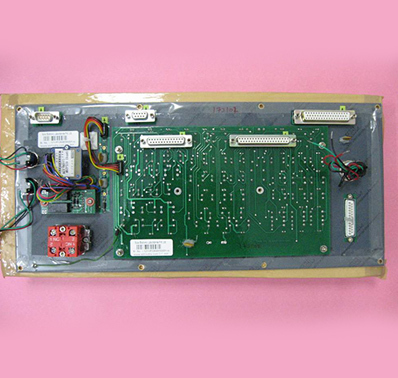 The interfacing circuit is also provided by SBL and the test each switch is tested to ensure that the messages on the display are as per the Quality Assurance Plan (QAP) provided by Moog Motion. 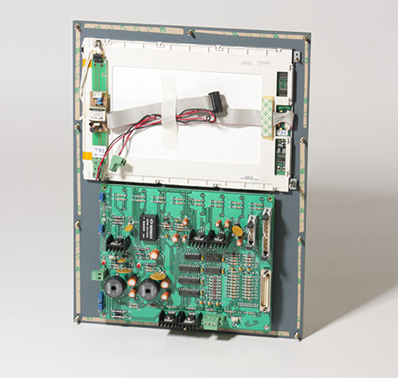 A new model named mPower was introduced with lesser switches, but having the same features like the Microset. SBL continues to supply these panels as of today also. Over the past 10 years SBL has supplied more than 1000 such panels, which are working successfully on various injection & Blow Moulding Machines all over India. 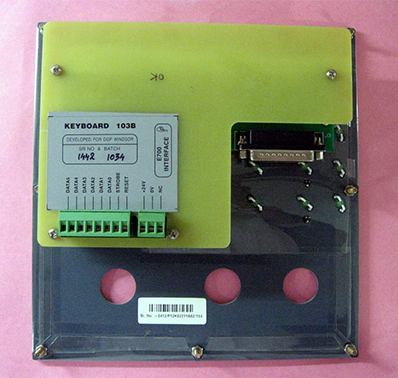 These keyboard panels interface with the electronics used in controlling the processes in an Injection Moulding Machine. The Keyboard comprises of 36 snap dome switches and 36 LEDs. An interface card connects the keyboard to the control system through IO ports and also drives the LEDs. These type of panels are usually used along with PLC systems. The Keyboard Unit is used as an Operator Station and is connected to the machine using special cables (2 metres length). Sixteen functions can be controlled by this Operator Station, and the user can carry the Unit all around the machine. 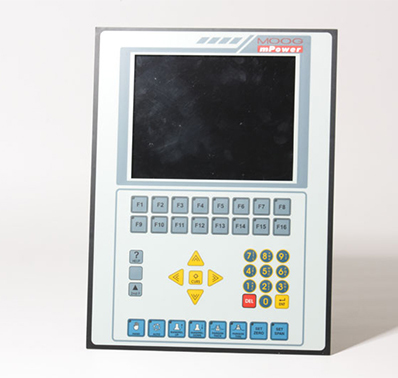 The Keyboard is provided with a Multiplexer Circuit which interacts with the CNC based hardware of the Machine Tool. Two versions of the Operator Panel have been developed – One with a provision to accommodate a MPG and one without. More than 750 units of these Operator stations are working successfully in the field today. This keyboard was developed as an import substitute for the Fetal Heartbeat Monitor that is being manufactured by GE in India for global markets. The keyboard has a PCB based circuit with gold plated contacts. 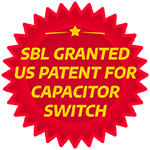 The design also incorporates 2 SMD LEDs and the switch areas are embossed. 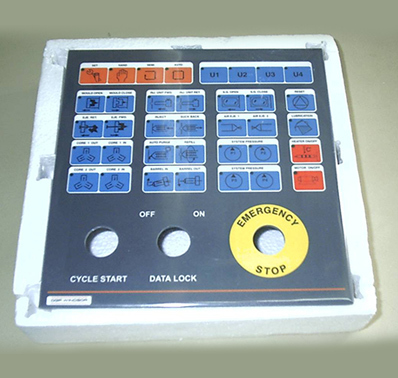 The keyboard panel is manufactured as per the Quality & Reliability standards laid down by GE Healthcare. 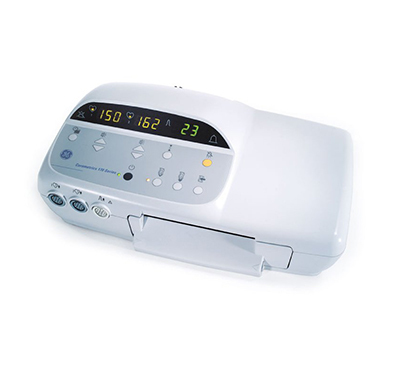 Since GE Healthcare USA, sells the Fetal Monitor worldwide, it is manufactured as per the guidelines laid down by US FDA. More than 25000 keyboard panels are operating all over the world successfully over the past 10 years.